Despite her down-to-earth demeanor and a soulful set of pipes, Sara Bareilles maintains she's a little rough around the edges, but her voice begs to differ. Introduced to the mainstream with her Rhapsody/TIVO commercial playing her hit, "Love Song," Bareilles now finds herself sharing the stage with James Blunt, Counting Crows, Maroon 5, John Legend and even Stevie Wonder. Bareilles visited The Early Show to share her story of newfound fame, and performed her hit song "Love Song" from her latest album, "Little Voice." Bareilles has been making music for several years and signed with Epic Records in 2005. She began recording "Little Voice" in 2006 alongside producer Eric Rosse. The talented singer/songwriter is also crossing over "Little Voice" to another medium by releasing it on vinyl. "Vinyl is cool," Bareilles said. "I have to go back and dust off my turntable!." Regardless of how her fans may listen to her album, Bareilles's songs give a glimpse of her life. "It's a collection of songs that pretty much mean the world to me," Bareilles said in her Web site bio. "They chronicle my life, my relationships, my basket-case-ness, and my utter devotion to trying to write honest stuff down and share it. That's where the title comes from." She was hand-picked for VH1's "You Oughta Know" program, which highlights new artists on the rise. Initially, Bareilles independently produced "Careful Confessions," which will be re-released and teamed up with Gabriel Mann, who helped her along her musical journey. "'Careful Confessions' is in a lot of ways very different from the music we make now, but I am equally as proud of this record as I am of 'Little Voice,'" she said in her blog. "It was made with the same level of commitment and dedication, and the rough edges are there because that's who I am. There are a lot of the same songs and some new (old) ones, and it's a part of my history as a musician and a songwriter." Often compared to Nora Jones or Fiona Apple, which she says is flattering, she just tries to keep it real doing what she loves to do. Bareilles describes her music as "pop soul." Bareilles has come along way from her open mike days, but it was those very times that made her want to come back for more. "There was something about the process of performing live that always made me want to do it again," Bareilles said. "Even the bad shows. It kind of lit the fire in me that made me want to go back and do it better." Growing up in Eureka, Calif., surrounded by the Redwood Forest, Bareilles discovered her imagination and led what she considers a "normal life." 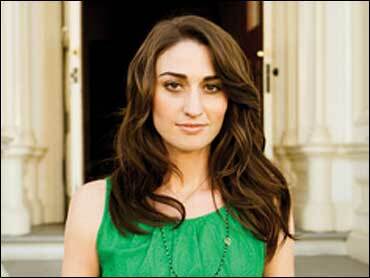 Then Bareilles branched out of her safety zone and headed off to UCLA, where she studied communications. During that time, she absorbed her new and exciting surroundings and realized that she loved to communicate through her lyrics. "Songwriting is the most sacred thing in my life," she reveals on her Web site. "It's how I process my world."